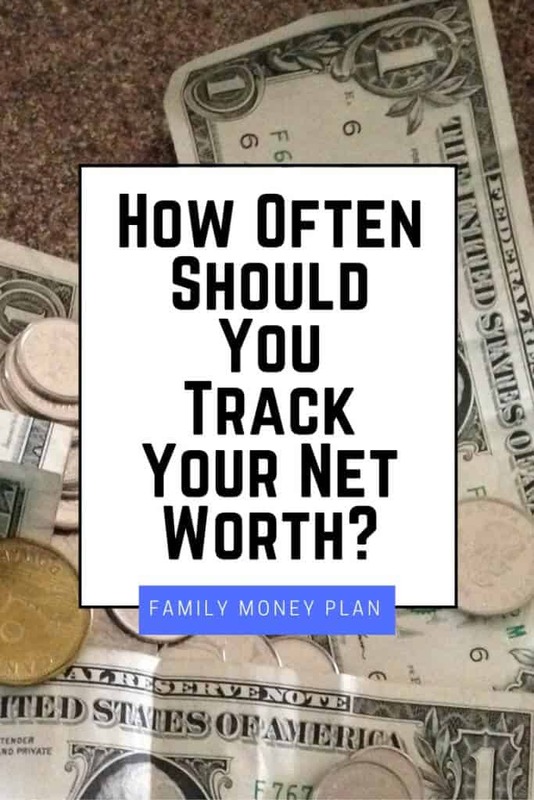 Once you have started tracking your net worth, the next obvious question is going to be “How Often Should You Track Your Net Worth?” I believe that it should be done every month. 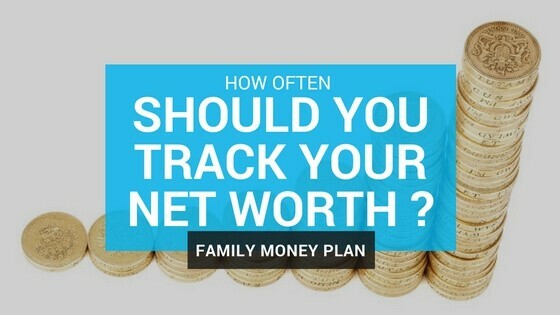 The first time you track your net worth you will find that it takes quite a bit of time. If you’re like most of us, all of your assets aren’t in one place, they are scattered around. A bank account here, maybe a savings account that got started when you were younger there, some investments, your loans, credit cards, often getting it all together the first time is a bit of work. It’s pretty common for your first net worth to take hours to put together. My answer is every month. That’s what I do and have done for the past 10 years. There are a lot of people that disagree (it wouldn’t be very personal finance if we all took the same stance), saying that doing it every month is overkill, but every month is what has worked best for me. Why every month? It’s about Motivation. If you are wanting to build wealth, or pay down debt, it’s not an overnight success. It’s a long process. It can take months or most likely years, and in the case of building massive wealth it can take decades. That’s a long time to stay motivated. In a world where we are constantly bombarded by the latest attention grabbing gadgets and the latest and greatest toys the thought of doing something for years is very hard to imagine. You need to have something visual you can refer back to in your journey. Do you know what your net worth was in June of 2012? If you don’t, how do you know if you have improved since then? I know what mine is and I know it for every month for the last 10 years. My one goal for the past 10 years has been to see my net worth go up every month. Every month I have made and organized my financial choices around this one goal. It hasn’t been easy, or perfect but it’s the one thing that has kept me on track. When we were paying off our mortgage, tracking our net worth was what kept us going. Otherwise paying off your debt is this intangible thing (that’s a technical term ;). Think about it, you have money in your account, you pay off debt and then you have less money, there’s no real reward. That’s where your net worth can help. When you slap down your $1000 bonus on your debt, you get to see your net worth go up by $1,000. It’s visual and it can help keep you motivated, it definitely did for me. If the monthly option seems to hard, remember the first time is the hardest because you are getting everything together. After that you will know where everything is. Calculating your net worth every month will get easier and easier the more you do it. Nowadays, doing my net worth takes about 5-7 minutes depending on my internet speed. If you want to do your net worth statement calculation every quarter or every year consider that getting the information together may be just as hard the first time, (can you honestly remember what you did a year ago, me neither). The other pitfall in doing it less frequently is that you aren’t able to see where problems could be occurring. It’s a lot like weighing yourself, yeah nobody wants to do it every day/week/month (especially after the holidays), but by doing that you’re able to catch things as they come up and make corrections quicker. That reason alone is worth tracking it more frequently than less. Remember if you want success in something you need to track it often and repeatedly so you can take action quicker. How often do you calculate your net worth and why? Let me know if the comments below. I use Quicken so in effect I track it daily (or at least every time I open it up and update my investment values). That said, once a month I copy the net worth statement from Quicken into a spreadsheet and do a bit of analysis. A month is a good time to reflect and see changes but not so quick that nothing happens. Thanks! I think keeping an eye on it is like anything you want to improve upon. It’s especially useful when you have a spreadsheet going back 10 years where you can see what you have done and where you have gone wrong. When you can catch the mistakes quickly it really helps. I actually don’t track my net worth regularly. I know. I’m basically the worst PF person ever. When I was just a lurker, I would track my net worth religiously every month. I got so obsessed over the numbers that I was almost paralyzed. I didn’t want to invest for fear of losing. I didn’t want to spend for fear of the numbers dropping. It wasn’t pretty. I realize I’m the exception, not the rule. I check in with my accounts monthly, but I don’t bust out the spreadsheets with all the assets and get really nitty gritty until each quarter or so. But I’m a total nosy rosy, so I love it when people calculate theirs monthly and share! Haha you definitely aren’t the worst PF blogger out there. I totally get the being stressed out over your net worth. I used to be that way and over time it stopped. The first few months I found to be nerve wracking just because I wasn’t sure if I was making smart choices. Now I can look back and see where things have gone wrong. I’ve also started tracking other metrics in my life that I want to see improve. I know… I’m a geek. I track weekly with plans to do that for 52 weeks. This is excessive for most people, but I have a very high negative net worth. I’m using the tracking to learn and grow and motivate myself. It’s working. I’ve made some important changes. It’s also just interesting to see the volatility and what looks like stagnation when I know that things are happening in the background. I don’t know how often I will track it after the first 52 weeks, but I imagine monthly will feel right for awhile. I think doing that will definitely motivate you. It will also give you a way better understanding of your cash flowing in and out. I can’t wait to read about it as you go along. I had a general idea of where we stood, but about three years ago I got serious and laid it all out on a spreadsheet. I even went back through our financial statements to 1996 (with some estimates where I no longer had access to the paperwork). It’s gratifying to see the trend line, and it’s even good to see the dips in 2000 and 2008, followed by the recoveries. Hey Russ! That is awesome that you went back and did it through 96. That takes commitment. I agree seeing the trend line is super motivating. Even the dips help you think about how you can do better and improve. Great comment!